This case of inverted papilloma shows classic trabecular growth pattern into the lamina propria. 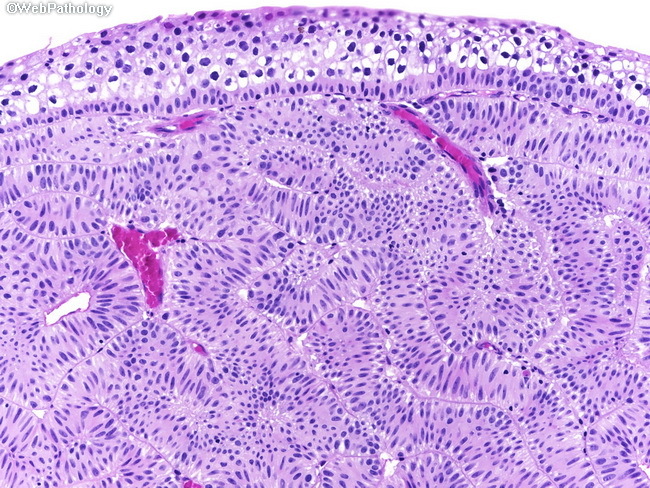 The overlying urothelium has clear cytoplasm. Interestingly, the basal layer of the overlying urothelium has identical appearance to that of the underlying cords and trabeculae.